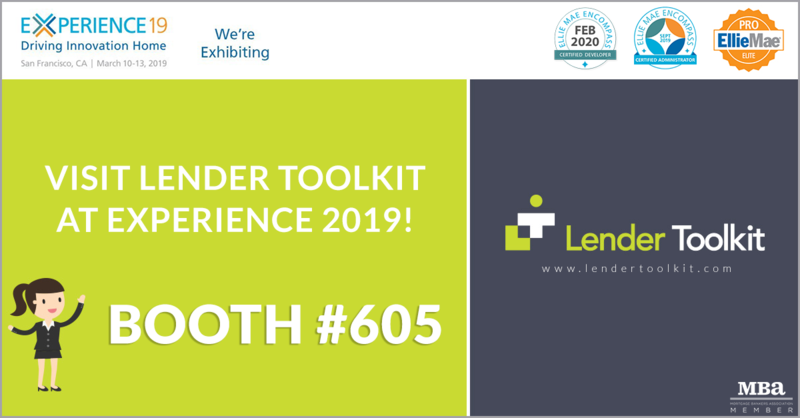 Join Lender Toolkit on March 10-13, 2019 in San Francisco at Experience 19! We will be demoing all of our new products and services that can take your business to the next level. Come and chat with us at booth #605 and see what we can do for you! We can’t wait to see you there!